A massive Congratulations goes to Emilia and Adam. 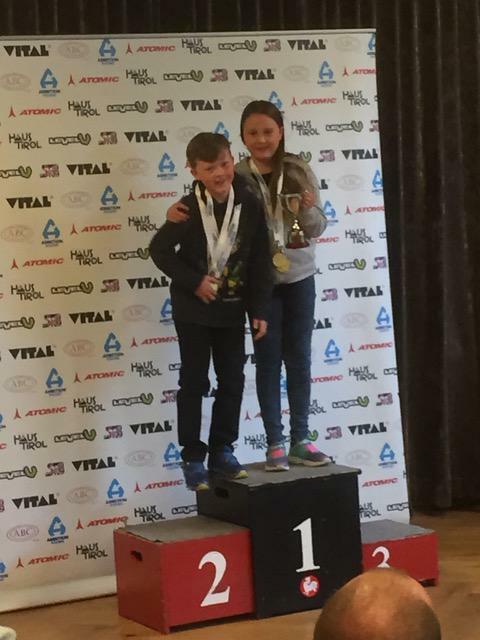 As a St John Fisher team they both won the GS (giant Slalom) and slalom races, in the under 12 mixed Ambition British Schools Alpine Championships over the Easter holidays, winning a silver cup for each race. Last weekend they also competed in a series of Club National Races where they came 3rd. Well done Emilia and Adam.